Jacqueline "Jackie" Dean, age 74, passed away in her home town of Newark, Delaware on Wednesday, November 7, 2018. She suffered a brain injury in 2002 and her health deteriorated slowly from that time. Her last five months were spent in the Regal Heights Healthcare and Rehabilitation Center in Newark, where she received a wonderful level of care, backed with kindness and love. She was born Jacqueline Irene Coss in McKeesport, Pennsylvania on July 30, 1944, one of three children of Robert Edward Coss, Sr. and Irene Regina (Wozniak) Coss. Jackie grew up in Clairton, Pennsylvania and attended Short Street School in the Wilson section, Walnut Avenue School and graduated from Clairton High School in 1962. She continued her education later in life, achieving a Bachelor of Science degree in Education from the University of Delaware in 1996 and a Master’s degree in Special Needs Education from Connecticut State University in 2002. 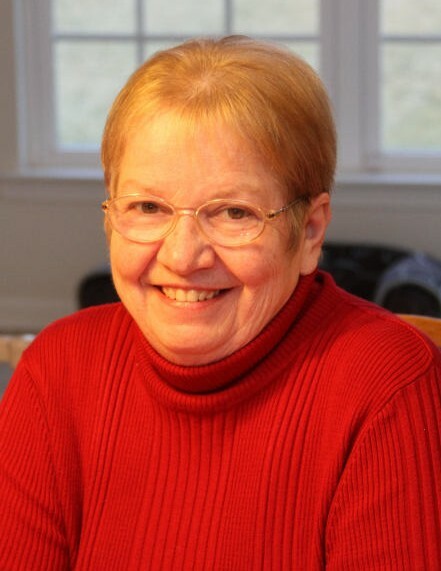 She began her working career at Westinghouse Astronuclear Corporation in Large, now Jefferson Hills, Pennsylvania in 1962, where she met her husband, Eric Jalmer Dean. She moved to Las Vegas and many other cities as the couple followed Eric’s many job locations. Jackie began her career in education in 1991 as a teacher’s aide and then as a teacher after graduating from the University of Delaware. She worked in the Christiana School District in Delaware from 1991 – 1997 and the East Lyme and Groton School Districts in Connecticut from 1997 – 2006. After receiving her Masters, her proudest accomplishments were the successes she had helping her special needs students. Jackie enjoyed meeting people and made friends all over the world as she and Eric traveled and lived in many countries including India, Japan and Italy. She loved to cook and learned to prepare many dishes popular in the countries she traveled to and lived in. She was very proud to have published a cook book with many of these recipes. Jackie’s greatest love was for her family, her three children and her three grandchildren. Her greatest tragedy was the loss of her daughter, Katherine Marie Dean at age 26 in 1992. In addition to her daughter, she was preceded in death by her parents and her brother, Robert Edward Coss, Jr. She is survived by her husband Eric of 53 years; her two sons, Thomas (wife, Carrie) Edward Lawrence Dean and Robert (wife, Morgan) Eric Jalmer Dean; her three grandchildren, Piper Mae Dean, Ella Grayson Dean and Virgil Joseph Dean and her only sister, Paulette Mae Coss of Clairton. Friends will be received on Saturday, November 17, 2018 from 9 – 10 AM in the Stephen D. Slater Funeral Home 1701 Route 51 (Large) Jefferson Hills, Pennsylvania 15025 (412-384-0350). www.stephendslater.com. There will be a Time of Remembrance of Jackie’s life at 10 AM in the funeral home. A Mass of Christian Burial will be celebrated in St. Clare of Assisi Catholic Church in Clairton at 11 AM following the visitation. Jackie will be buried in St. Clare Cemetery, also in Clairton, with her daughter and parents, immediately after the Mass.